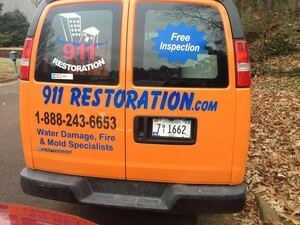 If your home in Yazoo City is being inconvenienced by a roof leak, pipe burst, toilet overflow, or flooding, you’re going to need the quality water damage repair and restoration from 911 Restoration Jackson to patch things up. 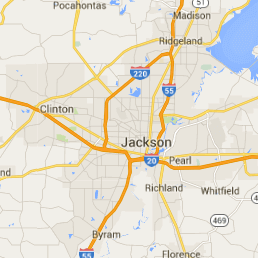 Our water damage Yazoo City team is trained, equipped, and ready to provide your home with a fresh start! Your home is exposed to various weather conditions on a daily basis. That constant exposure can affect the overall structural integrity of your home over time. Heavy rain and strong winds can eventual cause harm to your home in form of a roof leak, flooding, or storm damage. These kinds of issues can be difficult to deal with on your own, but with 911 Restoration’s 24/7 availability, we can make sure that you get the help you on the day you need it. We know how urgent it is to have issues like roof leaks, pipe bursts, sewage backups, and flooding cleaned and patched up right away. A quick response prevents any further harm like wood rot and mold growth from affecting your home. 911 Restoration will provide you with that immediate response. We have a lighting fast 45-minute response time that will allow us to tend to those leaks right away. Once our team arrives, we’ll be providing a free assessment that will help us determine the right solutions and the most affordable price. The presence of excess moisture within your home is the primary cause of mold growth. That moisture could be the result of a roof leak or pipe burst. Once mold has taken root within your home, it can spread quickly by releasing spores. Fungal growth can hasten the deterioration of the wooden sections of your home and the spores can cause health conditions like skin allergies and asthma. Our water removal team is trained to handle all of those water emergencies, and you can expect us to make use of the latest drying equipment to extract water and remove moisture from your home thoroughly. We will then perform mold remediation and water damage restorations that will make the water damaged sections of your home look good as new! With our availability, quick response, and advance equipment, 911 Restoration Jackson provides on the highest quality of water damage restoration that will handle your concerns like roof leaks, pipe bursts, sewage backups and flooding. We have over three decades of experience in dealing with water damage of all shapes and sizes. Through our services, your home will be looking good as new! Give us a call today!